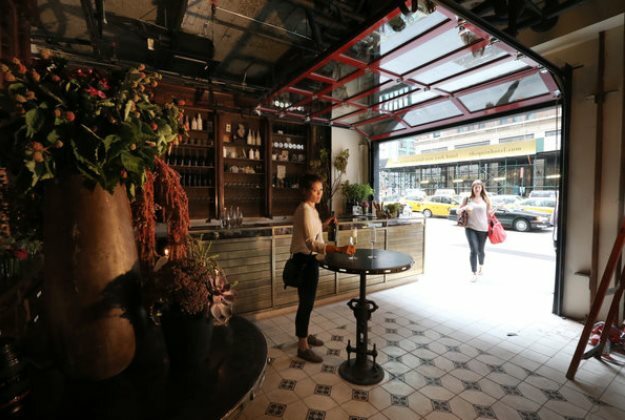 We were thrilled that our cement and terrazzo tiles were chosen for the recently opened Quality Italian in New York City. Quality Italian was designed by the award winning design firm AvroKO, renowned for designing some of the world’s finest restaurants. 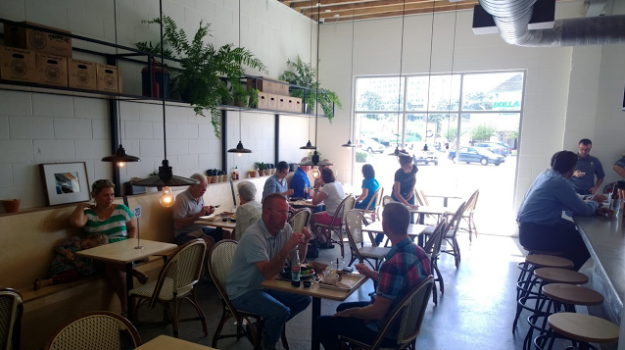 It is the latest restaurant from the acclaimed restaurant group, Fourth Wall Restaurants. 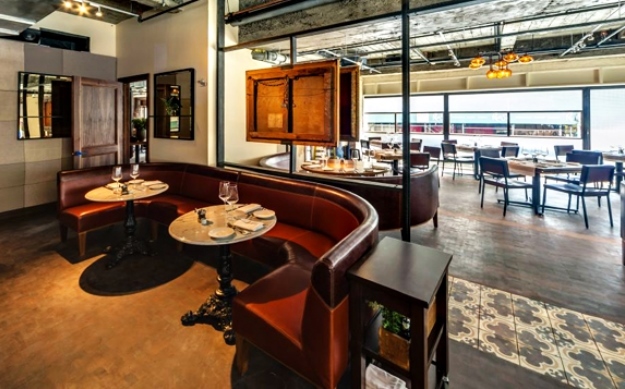 Quality Italian is a modern interpretation of the Italian-American Steakhouse. 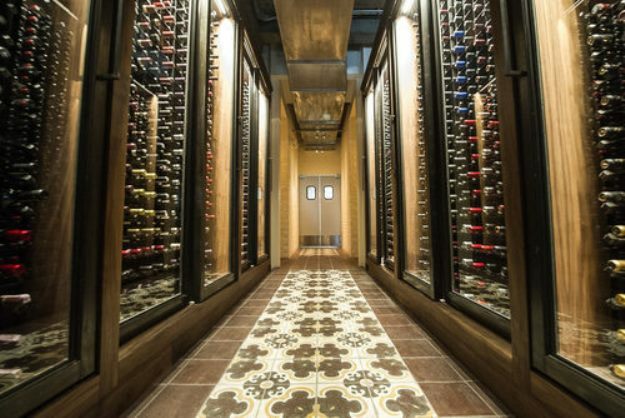 Overseen by Executive Chef Scott Tacinelli, the kitchen riffs playfully off of classic steakhouse fare creating a variety of modern interpretations with Italian accents. 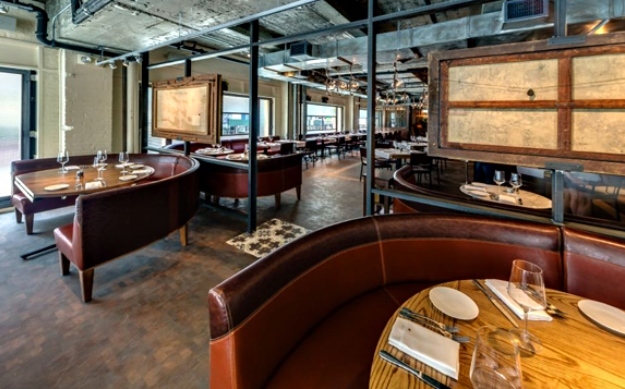 The 200 seat restaurant references the Butcher’s Guilds of Italy, responsible for the quality control and production of the finest cuts of meat. 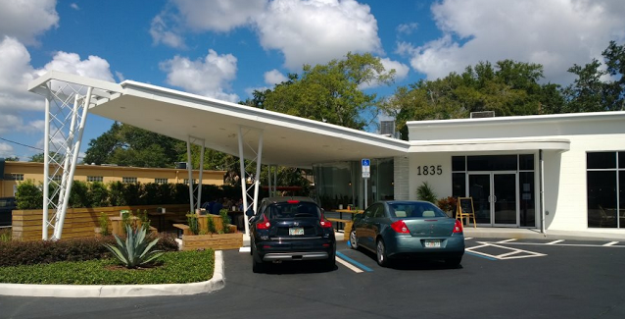 Fourth Wall Restaurants was founded by father‑son restaurateurs Alan and Michael Stillman in 2007. The group is comprised of upscale restaurants in New York City, including the flagship Smith & Wollensky location, Maloney & Porcelli, Park Avenue, The Post House, Quality Meats, and The Hurricane Steak & Sushi. 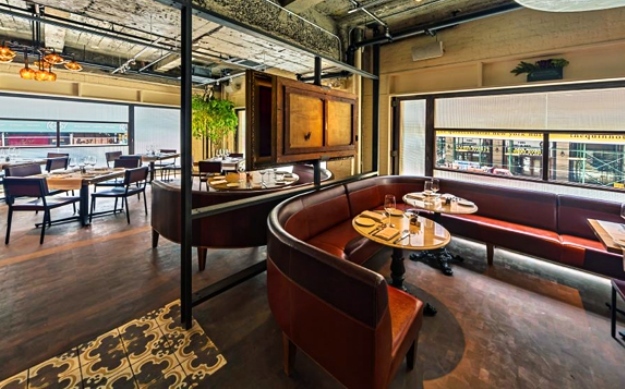 Or handmade terrazzo tile, Toulouse Red, was used as a distinguishing feature throughout the restaurant. 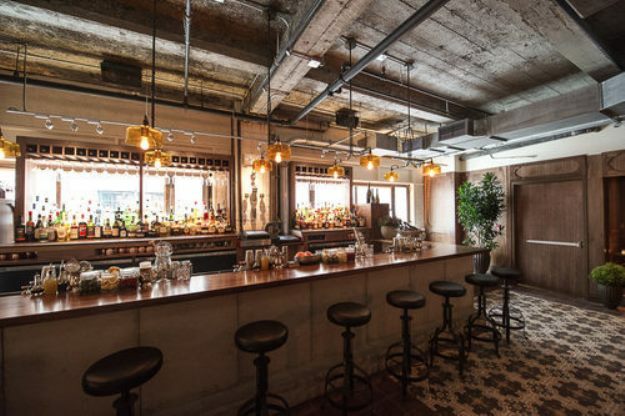 The downstairs, open to the street, features a bar and shop called Standing Room. 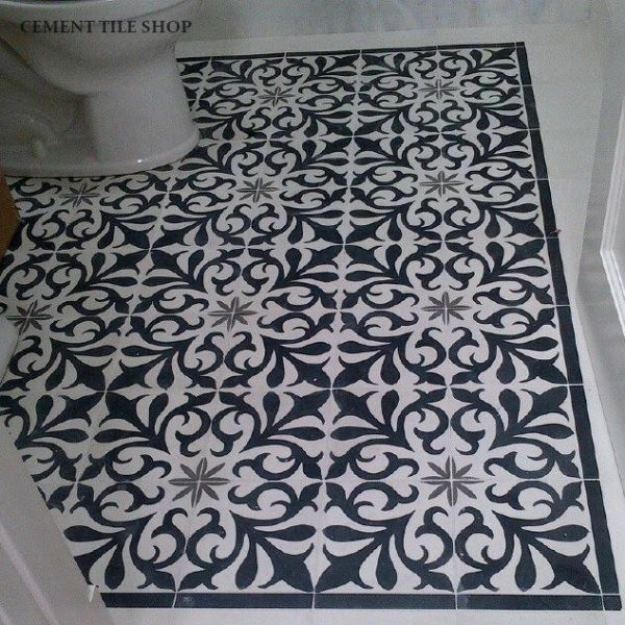 The floor of this space uses our Colonial Doble cement tile pattern in custom colors to provide a welcoming entry. Cement Tile Shop wishes the restaurant much success in the future and we can’t wait to get to New York for an amazing meal! 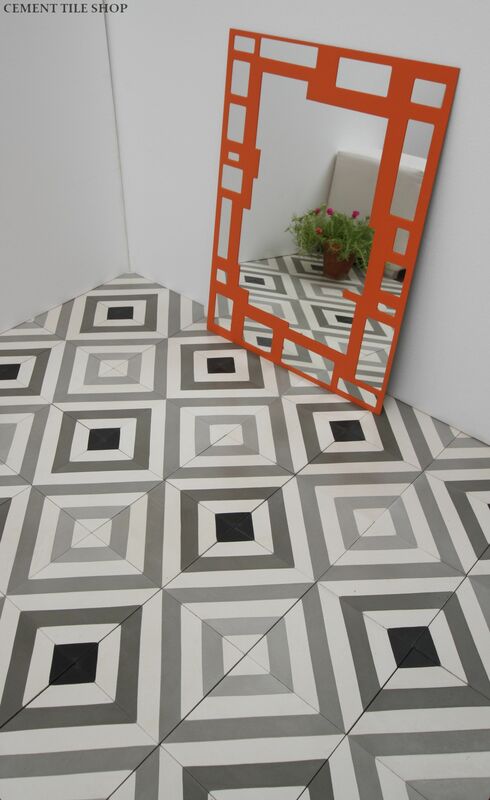 We love the combination of black, white and grey in our handmade cement tiles! This classic color combination stands the test of time and is truly multifunctional. Rooms in every style, whether formal or casual, from traditional to contemporary, look great with these colors. 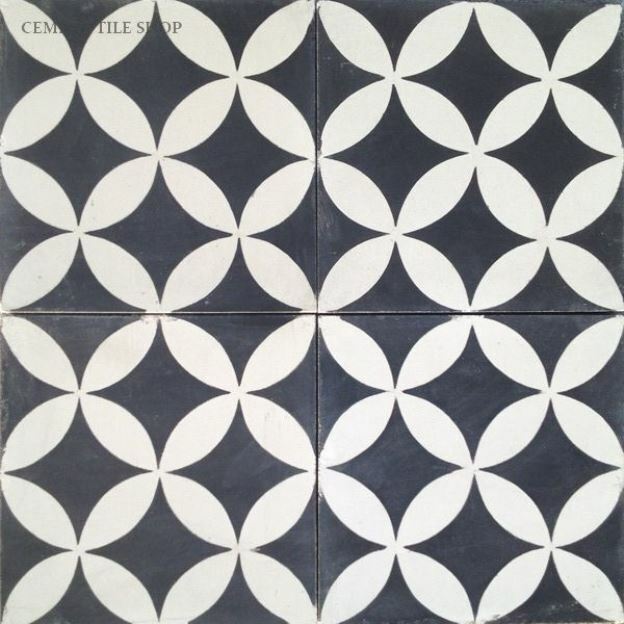 Several of our newest in-stock cement tile patterns have this beautiful combination. We also keep several of our most popular black, white and grey patterns in-stock and ready to ship. 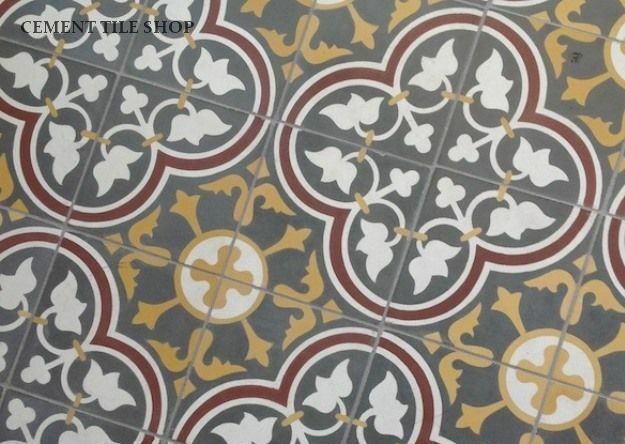 We love these combinations of cement tile at Cement Tile Shop. Give us a call at (800) 704-2701 if you would like to incorporate one of them into your project! 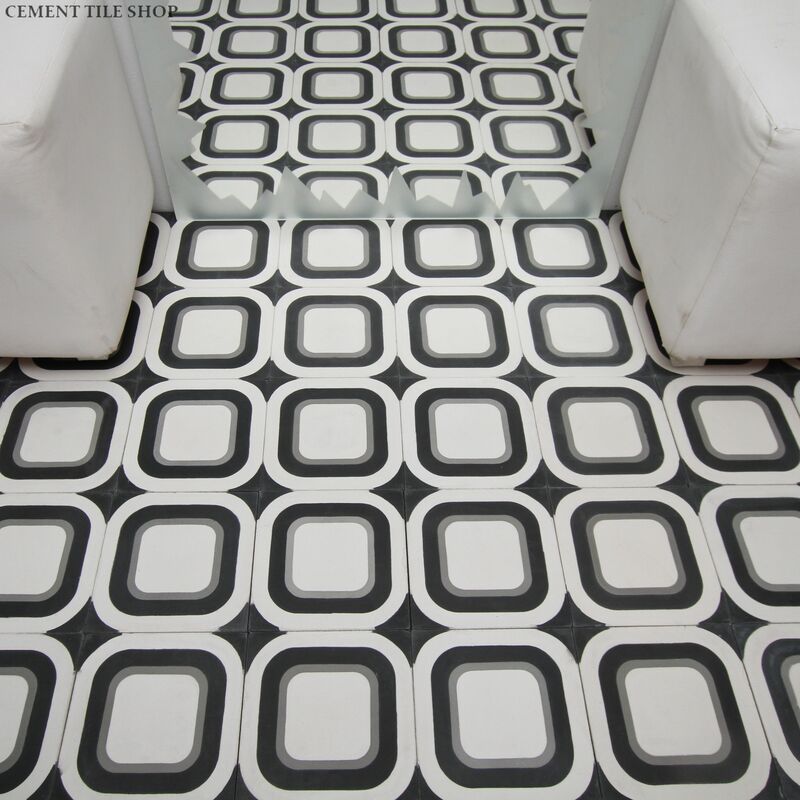 Our Circulos Black handmade cement tile is like your favorite black dress and heels. It just never seems to go out of style. 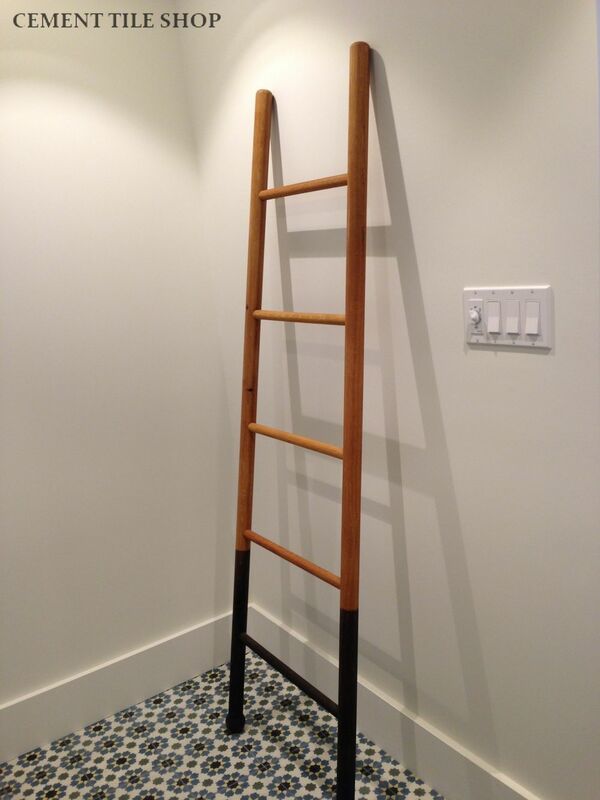 This pattern looks great in both traditional and modern spaces. Some of our customers have recently provides us with perfect examples. 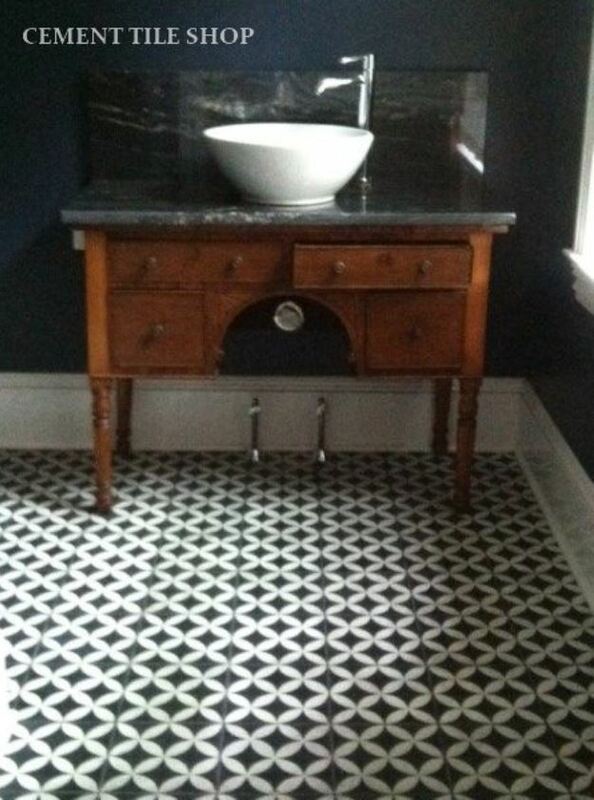 We love the use of Circulos Black in this gorgeous bathroom provided by a customer in New Jersey. There is a great mixture of the traditional and modern. 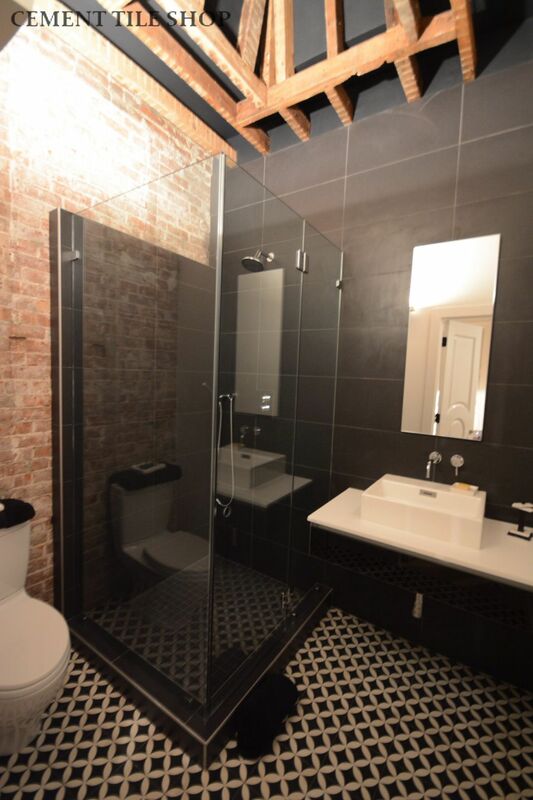 The exposed brick and wooden beams, along with the beautiful tile, really make the bathroom a unique space. 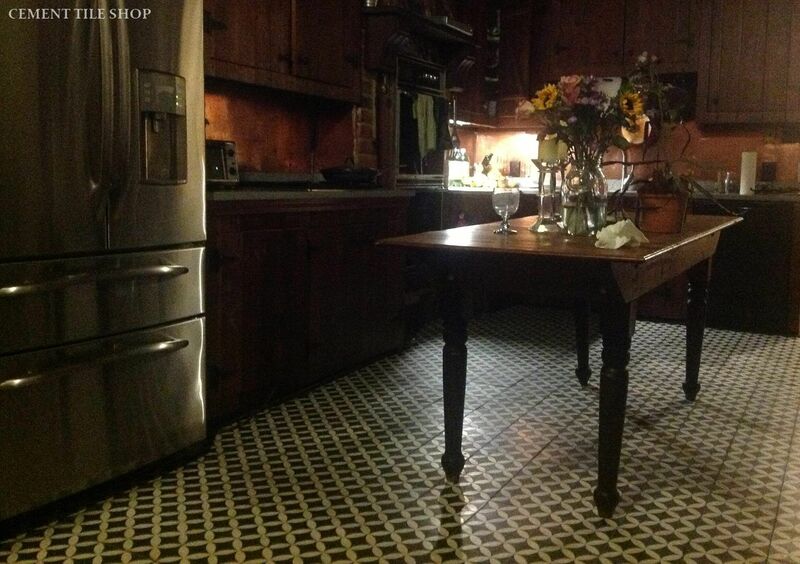 Circulos Black also looks great in this traditional kitchen in New Orleans, Louisiana. 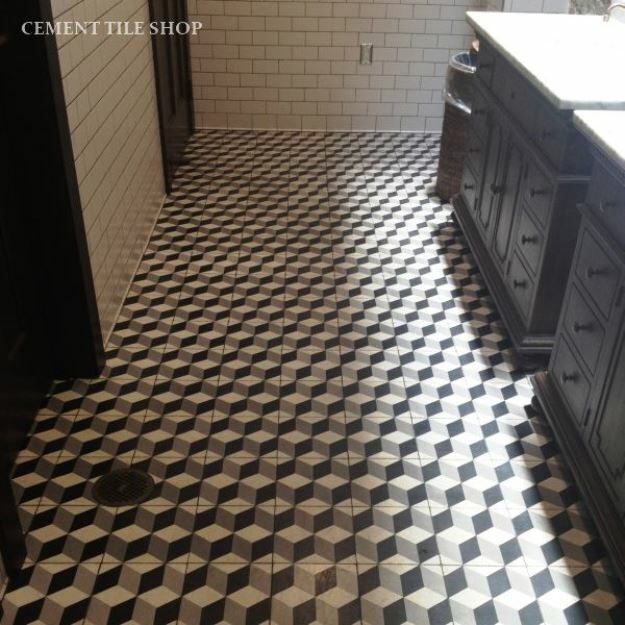 There is also nothing like the distinctive look of this classic bathroom in Princeton, New Jersey. 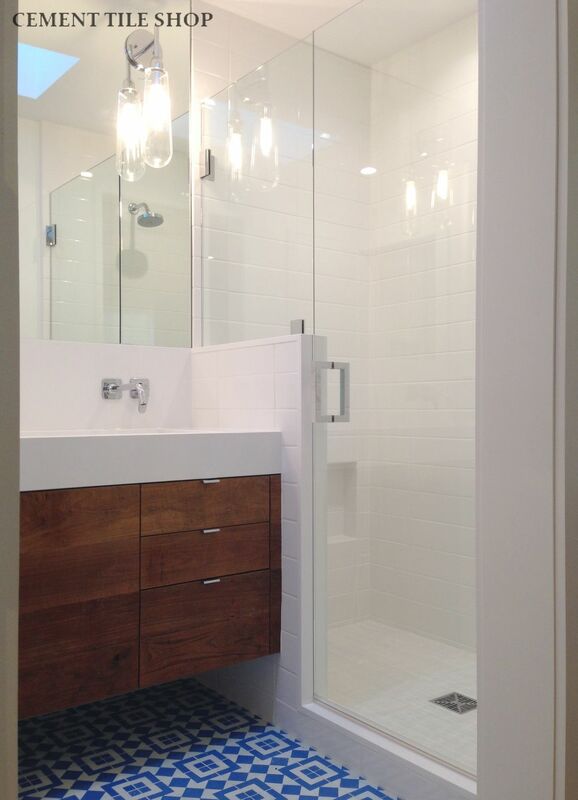 The tile combined with the high baseboards and classic vanity look great together. Circulos Black is in stock and ready to ship! 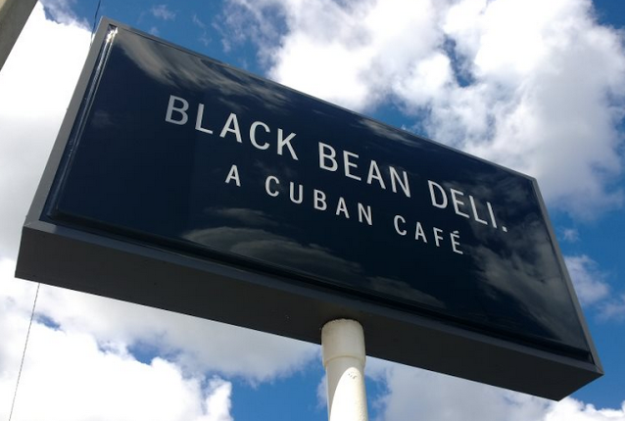 When the popular Black Bean Deli in Winter Park, FL was looking to open a second location in Orlando, the owners were looking for flooring to match the unique flavor of their Cuban food. 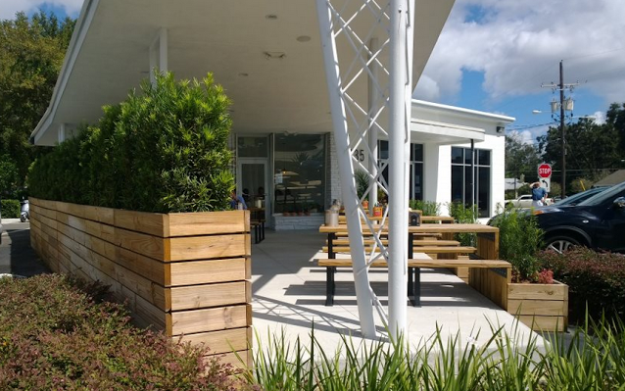 The owners did an amazing job converting an old, rundown gas station into a beautiful, unique and distinctive space. We were thrilled that they chose our Roseton Red pattern for a portion of the dining room floors. 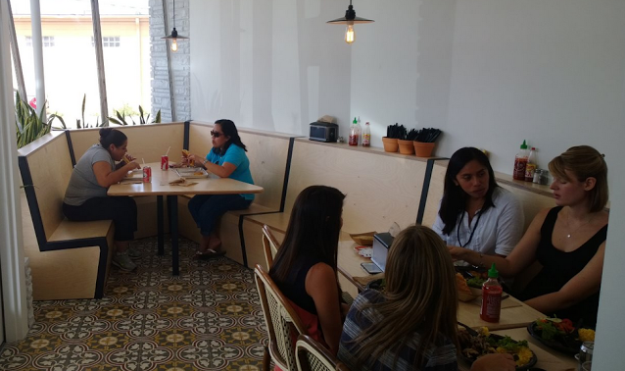 The floors add a warmth to the room that makes you feel as if you are actually eating in Cuba! Our Roseton Red pattern is in stock and ready to ship!